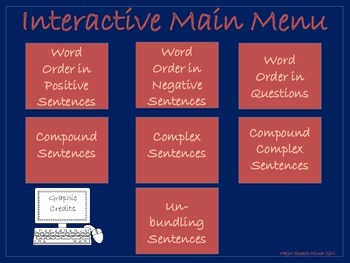 In this lesson bundle, I have included a variety of lessons to help us teach students sentence structure (syntax), word order for sentences and sentence types with ease! This product was designed for older students (upper elementary and secondary students). 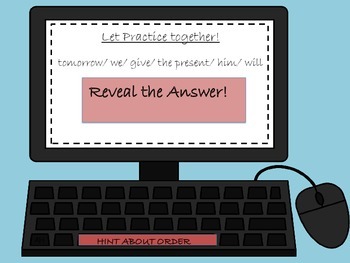 This product is INTERACTIVE and can be used on a computer or Ipad! No Printing Needed! AWESOME! 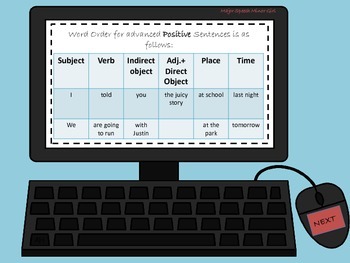 This product was designed to help students learn the basics of sentence structure to help them with writing, speaking and those standardized tests that have become so much apart of their lives! I hope your students benefit!